One of the goals of Competence by Design is to enhance patient care by improving resident learning through deliberate, competency based teaching and assessment. To do this we emphasize the best of the existing postgraduate medical education system and introduce some of the latest advances in teaching and assessment. There are 6 key things about the CBD assessment strategy that everyone should know and implement in their CBD programs. Discipline specific assessment requirements are set by the Royal College Specialty Committee. These requirements include the introduction of Entrustable Professional Activities and CanMEDS-based milestones that are related to different stages of training. 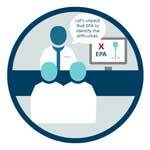 The entrustable professional activities (EPAs) and milestones lay out a clear learning plan for residents. They also provide clear teaching and assessment goals for educators. There is an increased emphasis on direct and indirect observation. Within CBD, the role of a clinical teacher is evolving from supervisor to frequent observer and coach. Clinical teachers regularly observe residents’ work and use these observations to help direct the residents’ learning going forward. Observations are linked to EPAs, which align with a resident’s current training stage and also to the routine practice activities of a clinical rotation. In CBD, supervisors make use of everyday work (e.g. in a clinic, on a ward, etc) to engage in the work-based assessment (WBA) of each resident’s performance. Frequent low-stakes observations provide performance data that, when pooled together, gives a more comprehensive image of trainees’ competence. Supervisors must record narrative, actionable, timely, concrete feedback. With each observation the clinical teacher gives timely, constructive, specific feedback to guide resident learning. 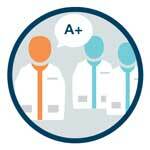 Faculty document what they observe and coach residents toward optimal performance, EPA after EPA and milestone after milestone. One of the Royal College’s goals for work based assessment is to collect as much information as possible about a learner, from as many sources as possible. Over time this data is pooled together to create a comprehensive image of the learner’s competence. 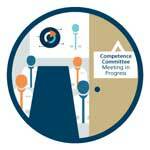 Curation and reporting of learning analytics helps inform competence committee discussions and group decisions about the learner’s official status in the program. (i.e., progressing as expected, not progressing as expected, progress is accelerated, failure to progress or inactive). As part of CBD supervisors do not make summative decisions about overall trainee competence. Decisions to promote (or not promote) a resident from one stage of the competence continuum to the next are based on data and they are made by a Residency Program Committee on the recommendation of the Competence Committee. The Royal College has a range of resources to support your CBD assessment work. These resources are updated regularly. If you can’t find what you need, please contact us for help: cbd@royalcollege.ca.